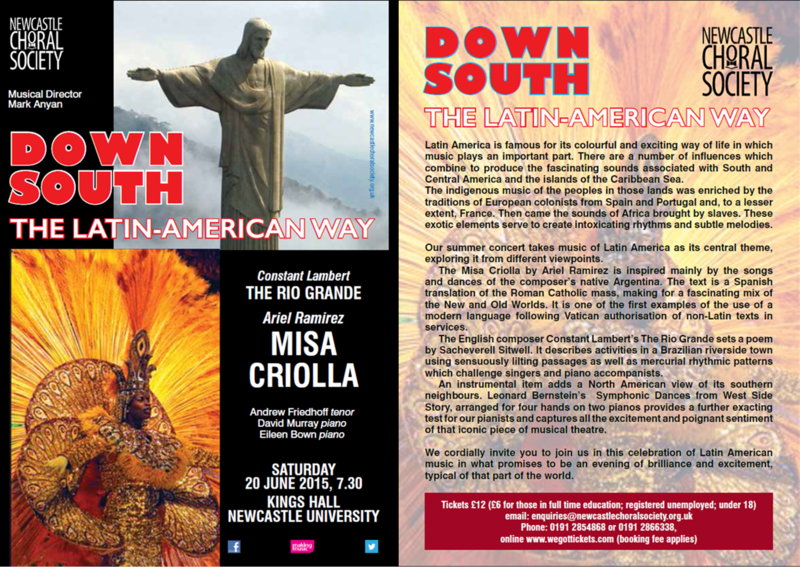 Our concert on 20 June 2015 featured music the Latin-American way! We were very lucky to have guest Tenor Andrew Friedhoff (website) with us. 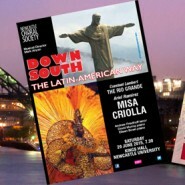 Andrew performed 3 solo pieces: ‘No Puede Ser’, ‘La Paloma’, and ‘Granada’, before joining us for the Misa Criolla. 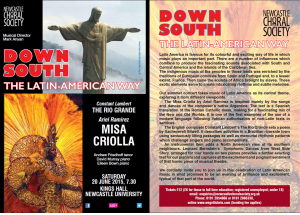 We also welcomed David Curry, founder of the Newcastle Guitar Orchestra (website), who accompanied us in the Misa Criolla as well as performing a solo piece: ‘Milonga’. Our fabulous pianists David Murray and Eileen Bown treated us to Bernstein’s Symphonic Dances from West Side Story. It was fantastic to watch their fingers flying over the 2 pianos!